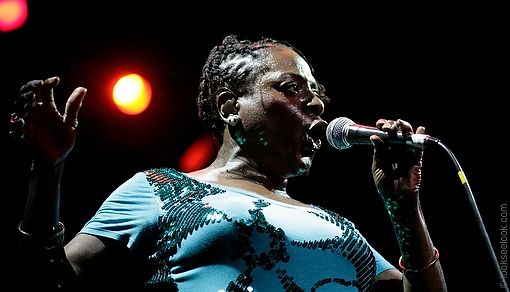 Sharon Jones and The Dap Kings at Celebrate Brooklyn! 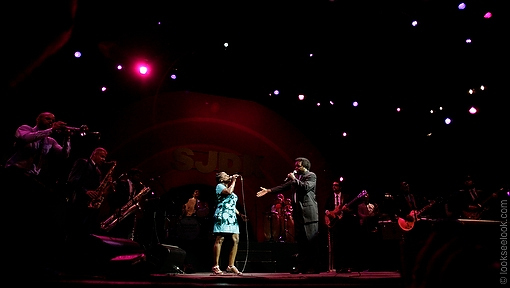 With a small army on stage, including the Dap Kings, The Bushwick Philharmonic, The Dapettes and The Budos Band, Sharon Jones rocked the bandshell at Prospect Park like there was no tomorrow in the last Celebrate Brooklyn! 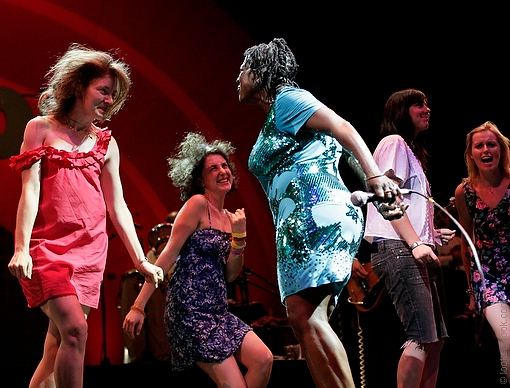 show of the summer. 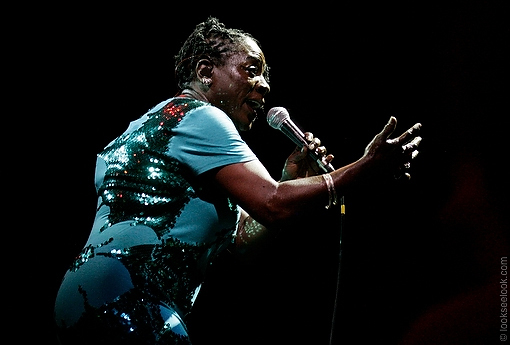 In her blue sequined dress, venerated by her bandmates like the female James Brown, Ms. Jones strutted her stuff and belted out a 2+ hour classic soul set to an adoring (more than) capacity crowd of 20,000. 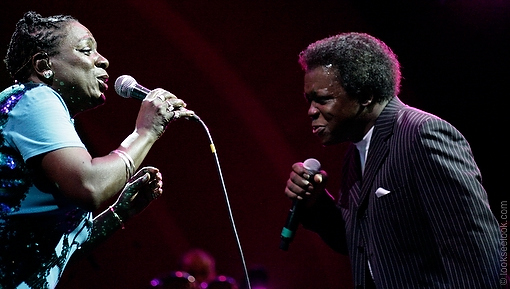 With vocal vamps and scowls, dance moves and prowls, Ms. Jones did nothing to discourage the comparison to the Godfather of Soul, in fact, I wondered when the cape was going to come out. 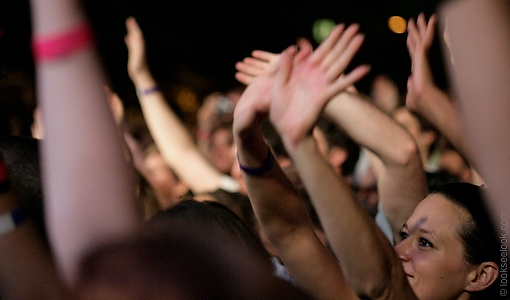 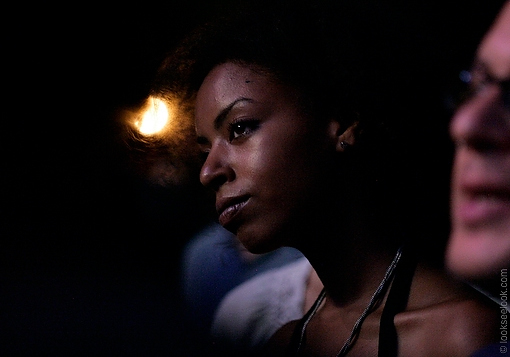 With human beings crammed into every square inch of the venue and the meadow beyond, it was a true revival atmosphere with spontaneous dance parties breaking out wherever there was room to move. 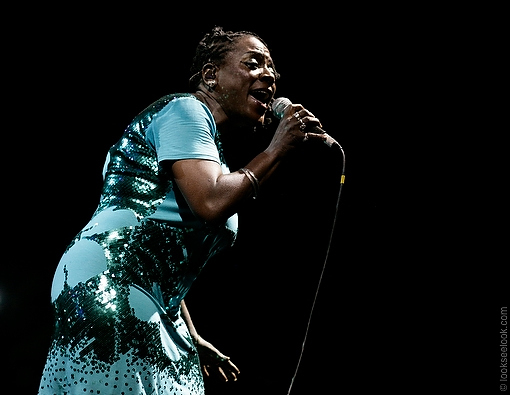 If Sharon Jones didn’t think that she had arrived before this magical night, after seeing an arena sized crowd embrace her music, she surely can’t deny now. 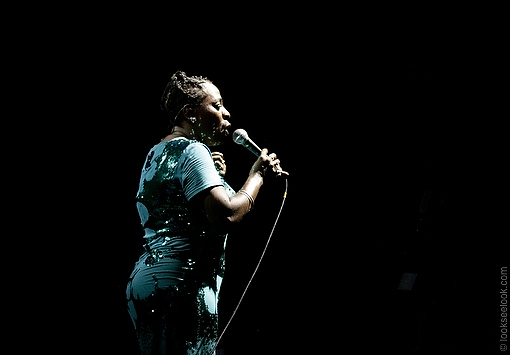 Although most concert handicappers knew this would be a “big show”, as a season finale, it more than exceeded anyone’s expectations and truly was a homecoming befitting Brooklyn’s own Queen of Soul. 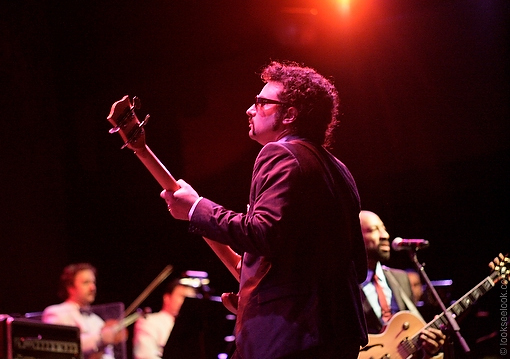 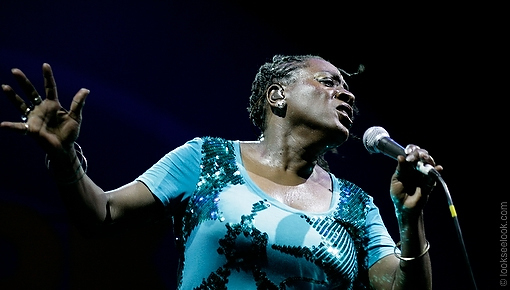 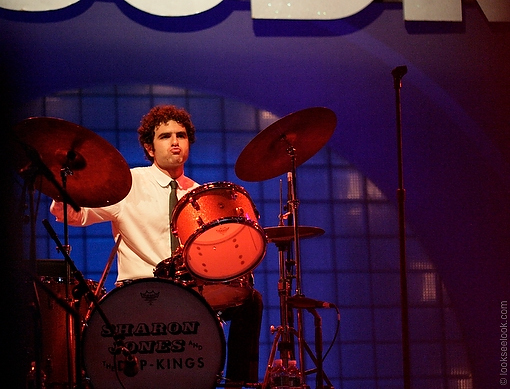 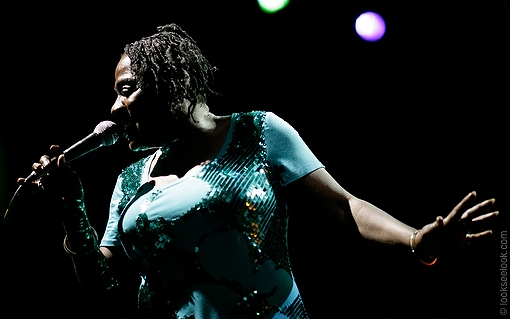 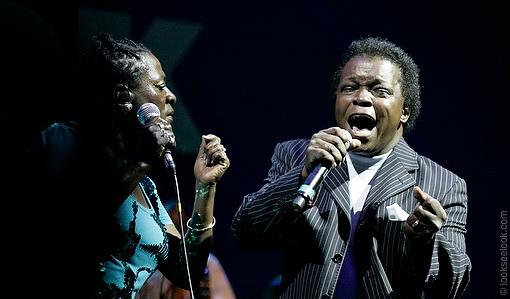 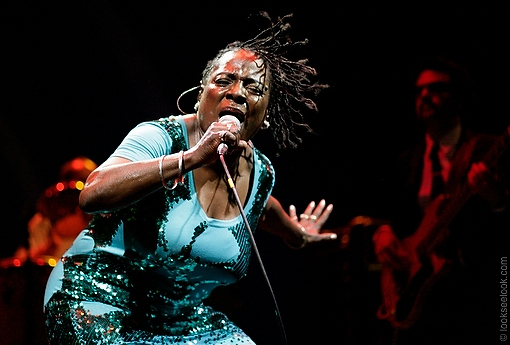 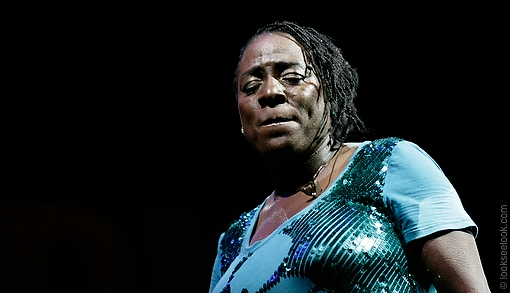 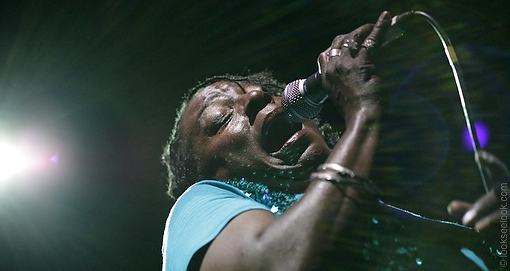 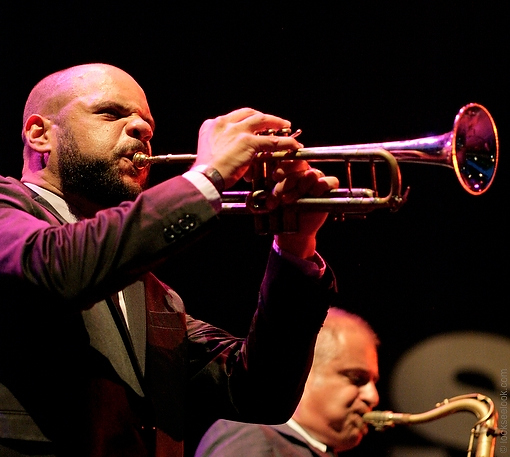 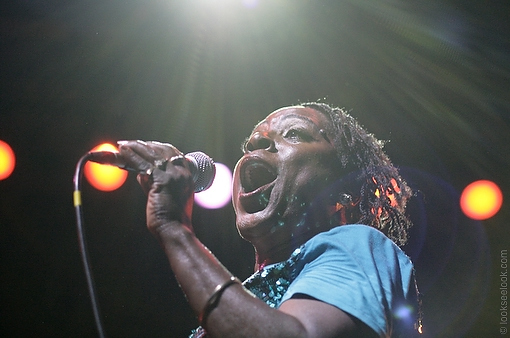 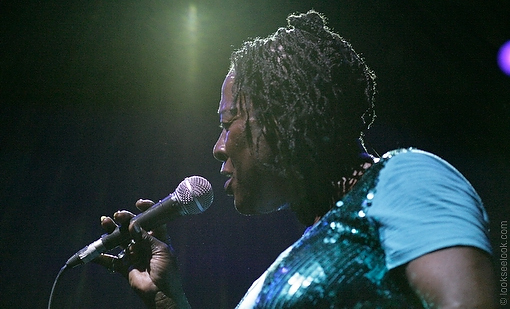 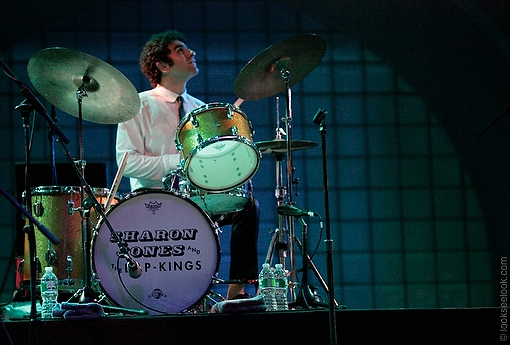 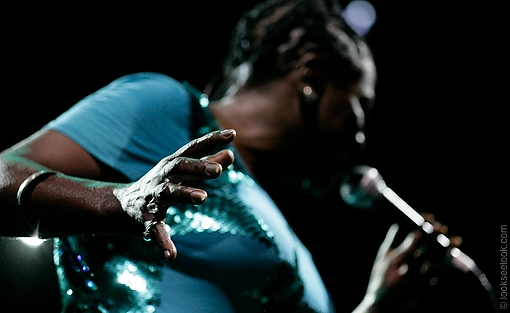 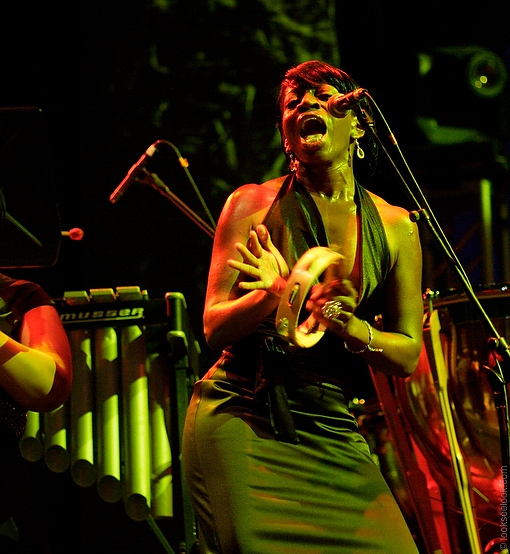 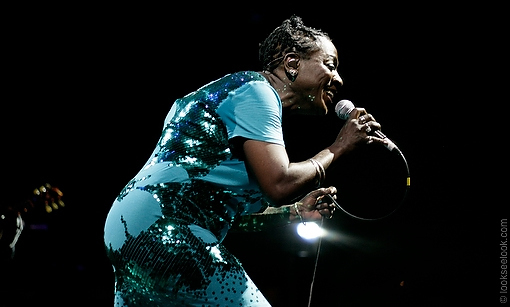 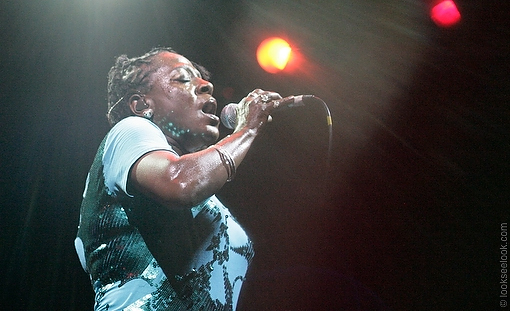 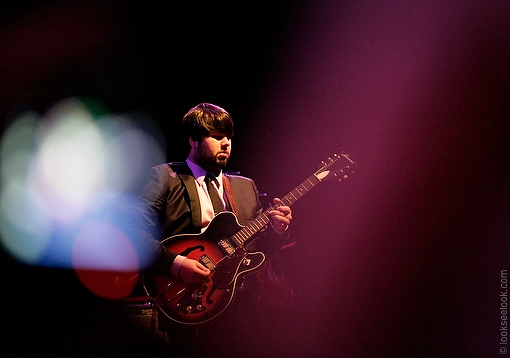 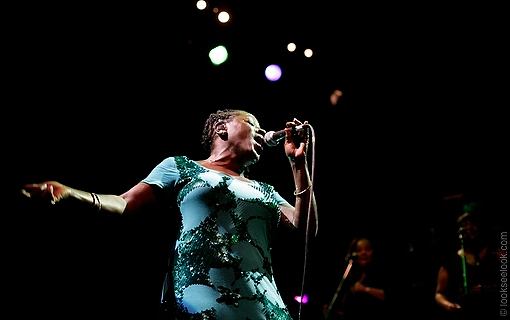 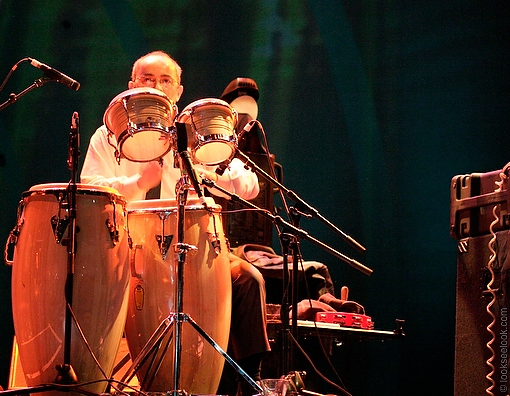 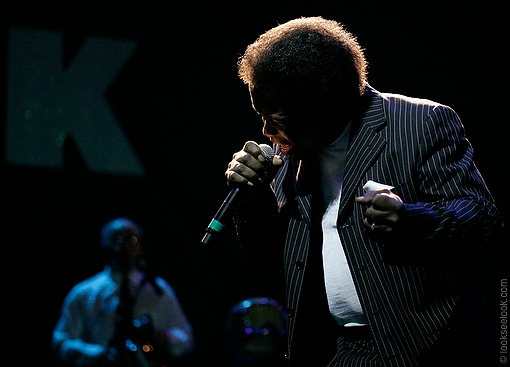 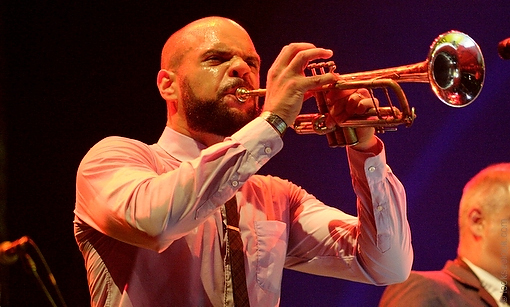 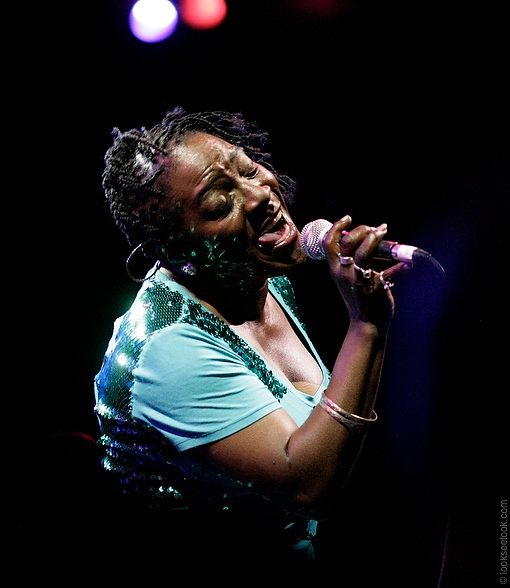 Tour dates and lots more pictures of Sharon Jones and The Dap Kings at Celebrate Brooklyn! 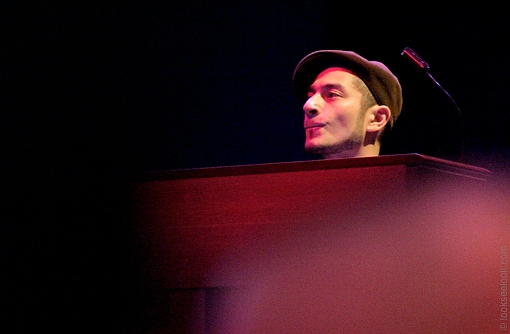 after the jump.